The Barn Owl is a medium-sized, buff-coloured owl with a distinctive heart-shaped facial disk. Males and females are similar in size and colour, females and juveniles are generally more densely spotted. Habitat: Barn Owls like to live in open woodland, heaths and moors than forested country. They usually roost by day in tree hollows but have also been found in caves, wells, out-buildings or thick foliage. Population: Over the past 30 years there has been a decrease in numbers however the population now seems to have stabilised. Lifespan: The average life expectancy of a Barn Owl is 4 to 5 years in the wild. 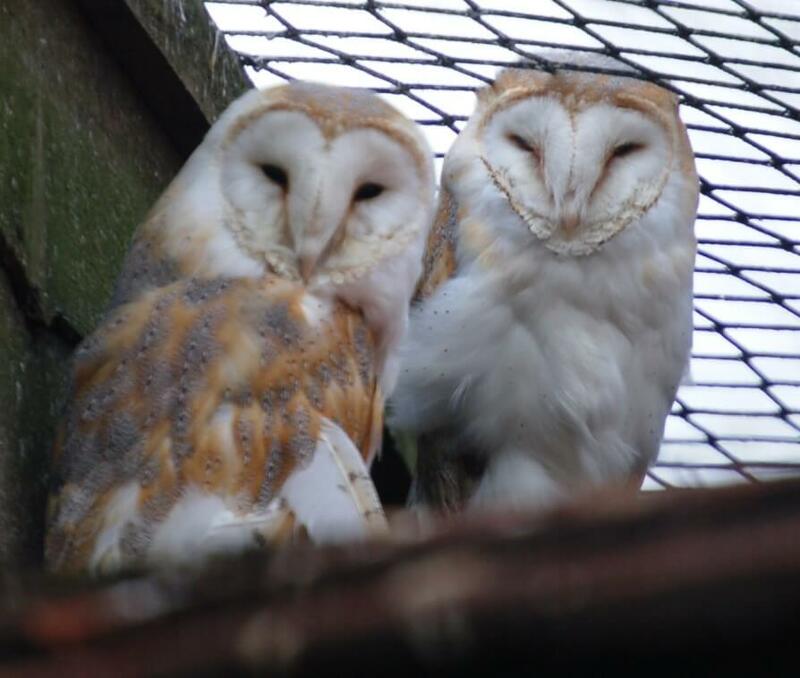 Diet: The main diet for the Barn Owl is the short-tailed Vole; other rodents include shrews, wood mice & young rats. Behaviour: The Barn Owls nest close to their food source. Once fledged, each youngster will need to roam some distance to find an unoccupied area with a food supply good enough for itself, a mate, and a brood of young. Once he has found that, he will not roam again, unless his food supply runs short.